When one of my long time friends came back to town from her semi-permanent life overseas, the one thing she said she missed was the huge variety of sauces, dips and flavourings that lined shelves upon shelves at our local Chinese supermarket. Indeed, while raw ingredients are important, it’s often the extra seasonings that provides the taste of familiarity. 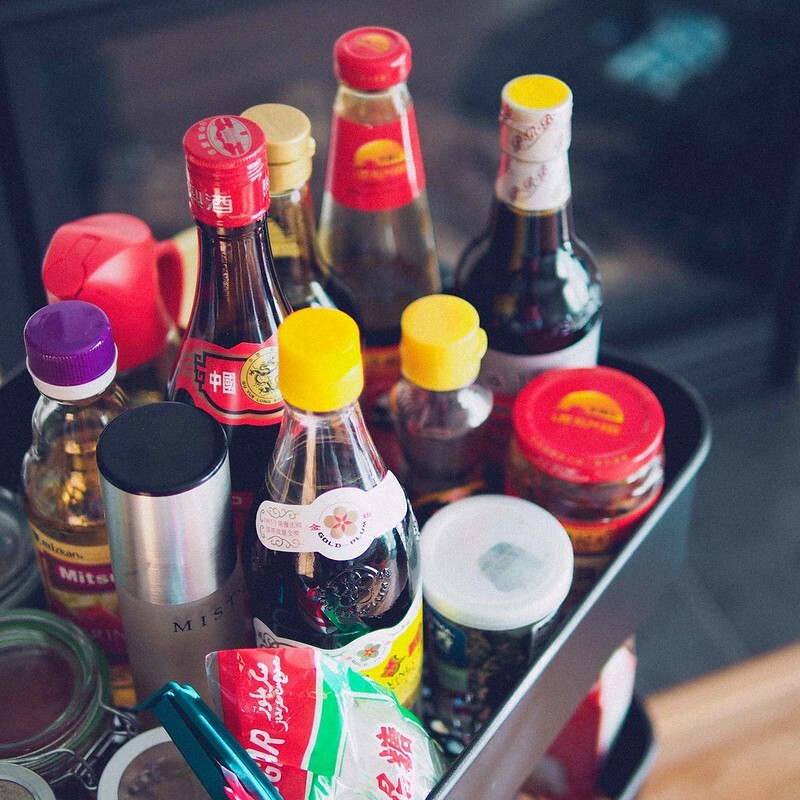 With a small pantry and a pretty selective palette, I can say that my own every collection is paltry by the standards of a real Chinese kitchen but these bottles and jars give me plenty of options in my daily Asian fusion cooking. Share the love: What are your top 3 essential spices/sauces in your cultural kitchen? Posted in Chatter, VideosBookmark the permalink. FFT |When is dim sum suppose to be eaten?